Today May 14, 2018 will take place, in New York, Consensus 2018, the biggest event about Cryptocurrencies and blockchain. The event lasts 3 days and the hype around is extremely high. 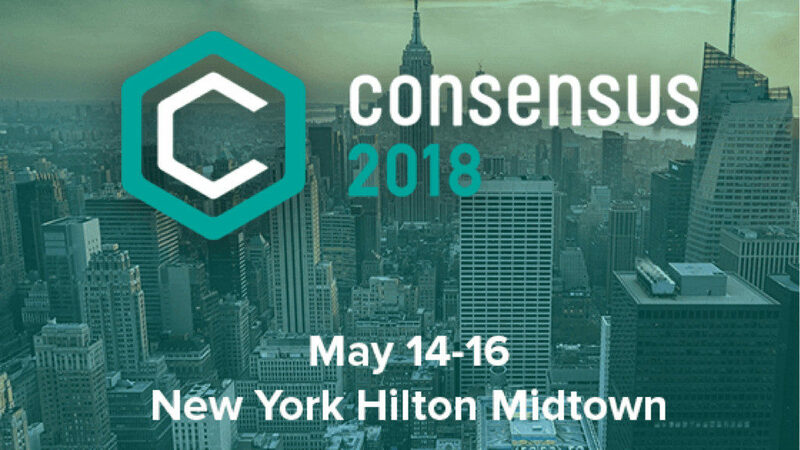 Names like: IBM, Siemens, Procter&Gamble, Microsoft, EY and PWC will be present at Consensus 2018 including big investors as CME and bank groups like Scotiabank and AMRO. All this interest from big names demonstrates that market sentiment is changing in positive. David Schwartz Ripple Cryptographer, do not miss! Marco Streng Genesis Mining, and the fascinating cryptomining world.